This is such an incredible photo and statistic! On average the human body is roughly 65%. 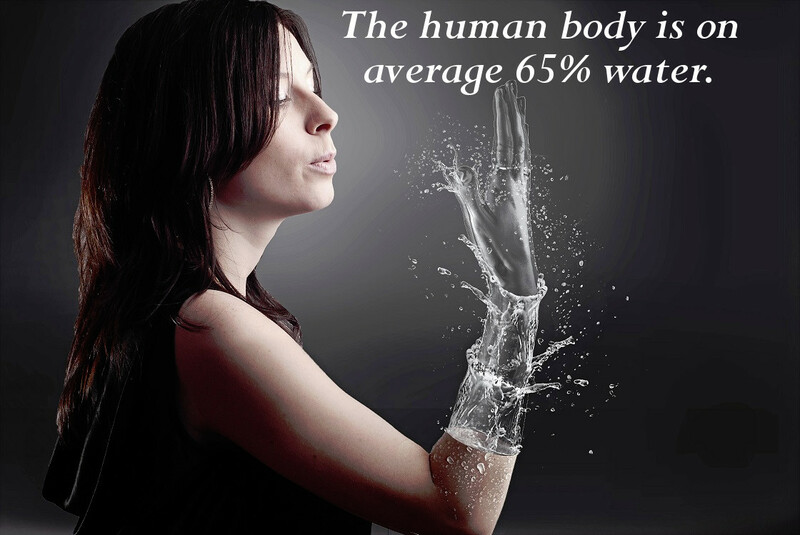 This percentage varies considerably for different age, gender, and weight but nonetheless the human body is mostly water. This is a very interesting and deeply profound percentage fact though which raises a lot of very important questions. If we are made of mostly water, where exactly does that put us in the grand scheme of life? But what it does confirm is that we are one and the same with pretty much everything around us since we are made of the same material that everything, including stars are made of!